Symplur is committed to protecting the privacy of our users (“user”, “you” or “your”). For the purposes of this Policy, the term, “Site(s)”, shall refer collectively to www.symplur.com as well as the other websites that we operate and that link to this Policy. We have offices in the greater Los Angeles region in California, USA. 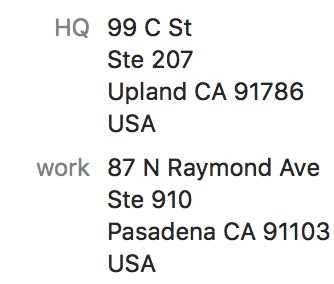 Our headquarters information is listed below in the Contact Us section. Legitimate interests: This is a technical term in data protection law for our commercial interests where these have been weighed against the interests or rights and freedoms of the individual and it has been decided that our interests are not outweighed by those rights and freedoms. We sometimes require your personal data to pursue our legitimate interests in a way which might be reasonably expected as part of running our business and which does not materially impact your interests, rights. For example, we analyze how users interact with our Site and Services so we can better understand which elements are working well and which are not working well. We may also retain a record of any stated objection by you to receiving Symplur updates for the purpose of ensuring we can continue to respect your wishes and not contact you further. This Site may contain links to third-party websites. These links are provided solely as a convenience to you and not as an endorsement by Symplur of the contents on such third-party websites. Symplur is not responsible for the privacy practices or content of linked third-party sites and does not make any warranty or representation regarding the content or accuracy of materials on such sites. If you decide to access linked third-party websites, you do so at your own risk. Please review the privacy policies of these websites before submitting any personal data to these sites. If you comment on a blog post on our Sites (“Interactive Area”), you should be aware that any personal data you submit there can be read, collected, or used by other readers of these blogs, and could be used to send you unsolicited messages. We are not responsible for the personal data you choose to submit in these blogs. To request removal of your personal information from an Interactive Area, you may contact us through the Contact Us options noted below. In some cases, we may not be able to remove your personal information, in which case we will let you know if we are unable to do so and why. You can exercise the rights listed above at any time by contacting us at privacy@symplur.com or through the Contact Us options noted below. Symplur receives personal data from third parties, such as Twitter, and other online public blogs and forums. We are required to comply with our contract with them or their public terms and conditions. We may also analyze the content of the data you publish and provide our analysis to our customers. For example, if you publish a Tweet stating that you like a certain conference, we may mark that Tweet as having a positive sentiment toward that conference. As a Social Media Author, you are the source of the data. You have control over that data within the platform or forums that you choose to publish it on (e.g. Twitter, and other blogs, forums, etc. ), including through using the privacy settings made available to you by that platform or forum. In addition to whatever rights you have via your relationship with any publishing platform, you also have certain rights relating to your data that we process, as set out in this Policy. We are committed to protecting the online privacy of children. In accordance with the Children’s Online Privacy Protection Act in the United States and the GDPR in the EU, we will not knowingly collect or solicit any personally identifiable information from or provide any services to children under the age of 16. Our Site and its content are not directed at children under the age of 16. If we learn that we have collected personal data from a child under the age of 16 without parental consent, we will delete that information as quickly as possible. If you believe that we might have any information from or about a child under 16, please contact us at privacy@symplur.com.